Die cut plain white paper sleeve. 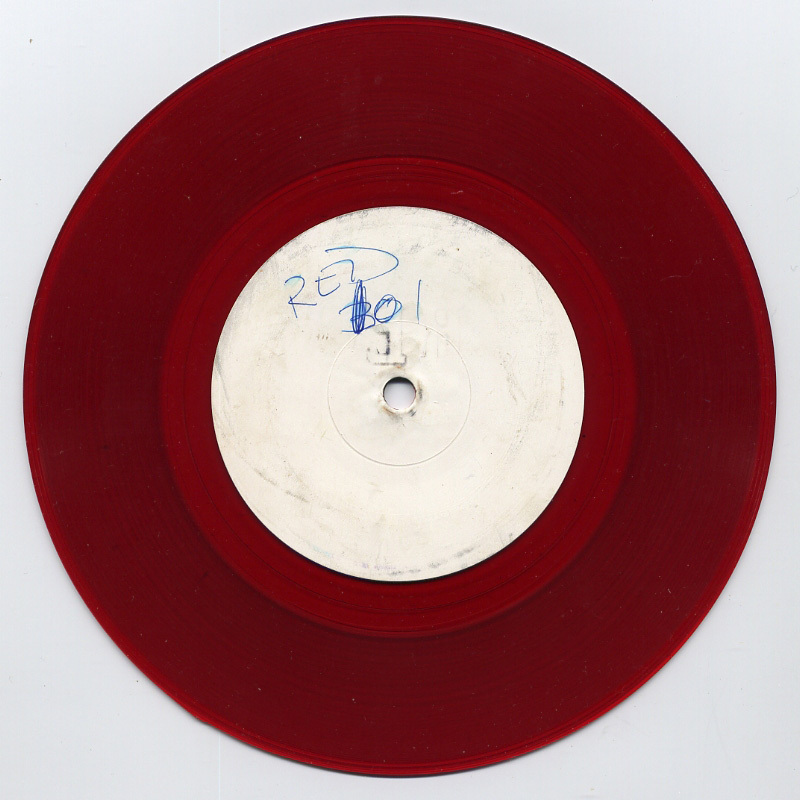 Comments: This extremely rare coloured red vinyl test pressing was produced in 1983 as a test press for the Out Of Sight, Out Of Mind limited edition 7" picture disc. Interestingly, it bears the catalogue number of the 12" picture disc - POPPX-570 - which is inscribed in the run-out groove along with the name 'Orlake'. 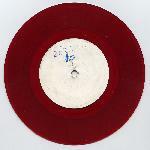 The commercial pressing of the 7" picture disc also bears the same markings, which contradicts the catalogue number printed on the disc, POSPP 570. The vinyl is clear, transparent and red. 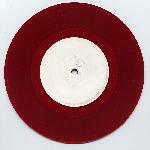 Its thickness exceeds that of regular 7" vinyl and matches exactly that of the commercially pressed picture disc. It has a square, unfinished edge - i.e. 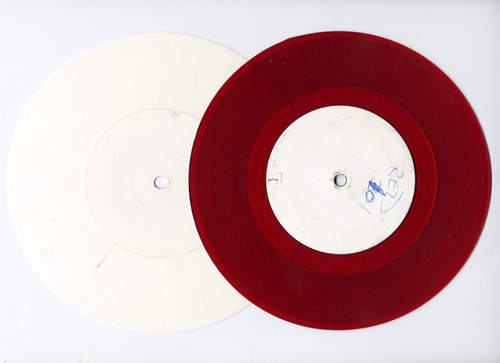 not sharp like regular 7" discs. 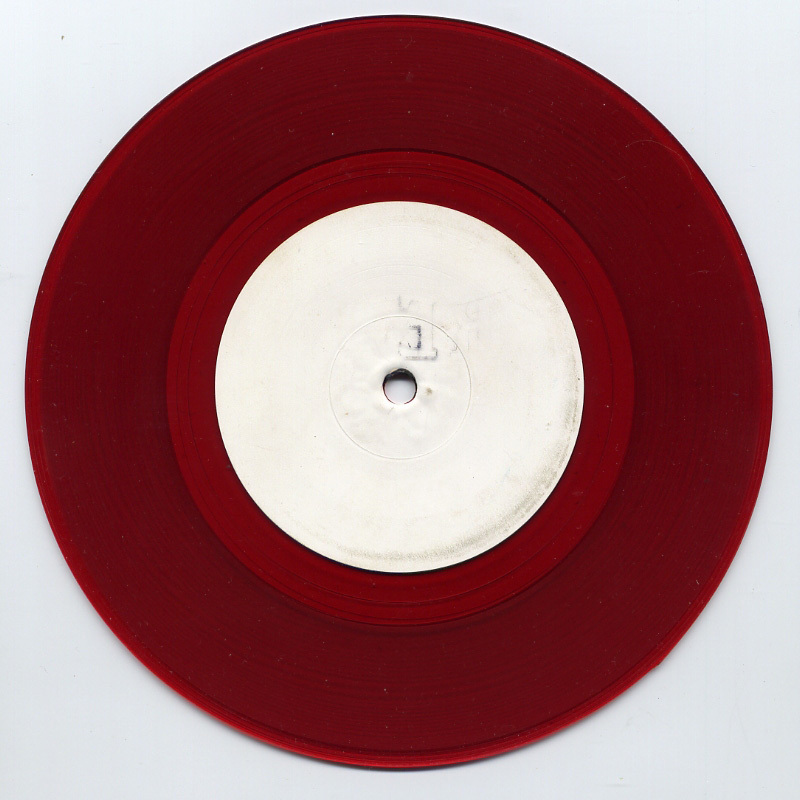 It is known that 12" test pressings of the Out Of Sight, Out Of Mind picture disc were also produced, however the only confirmed ones are in opaque white vinyl. 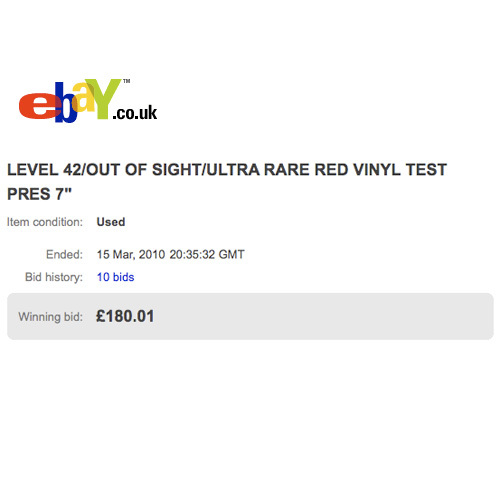 This red vinyl edition was won in an Ebay auction in March, 2010 and up to that point was unknown to the creators of this website. 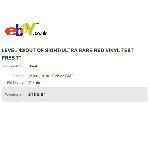 The disc was purchased for £180.